Silicone are polymers that include any inert, synthetic compound made up of repeating units of siloxane, which are typically heat-resistant and rubber-like materials commonly applied to a wide range of the industries which include Electrical (e.g., insulation), electronics (e.g., coatings), household (e.g., sealants for cooking apparatus), automobile (e.g., gaskets), airplane (e.g., seals), office machines (e.g., keyboard pads), medicine/dentistry (e.g., teeth impression vowin.cn/' target='_blank'>molds), and textiles/paper (e.g., coatings). Silicone has its universal applicability in different industry due to the different features of different forms of silicone compound. For example, in the automotive field, silicone grease is typically used as a lubricant for brake components since it is stable at high temperatures, is not water-soluble, and is far less likely than other lubricants to foul. As a low-taint, non-toxic material, silicone can be used where contact with food is required. Silicone has becoming an important material in the cookware industry, particularly in the production of bake ware and kitchen utensils. This Prototype was made by Vacuum Casting Molding process. This process of production method requires a mould or moulds as the tool of the silicone-made objects prototyping. 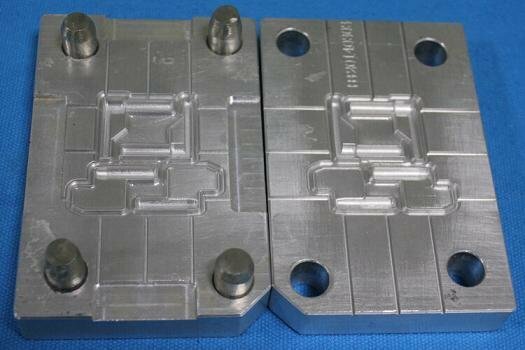 Creating Silicone mould uses basically metal such as Aluminum or Steel as material. In this step, the figures on the product, such as texts or decorative patterns, are required to be designed prior to the casting stage. Vacuum Casting Molding is an ideal production method which enable whether small-lot or mass production of silicone objects, the high efficiency, and the low cost of materials. Then, draw the liquid silicone into the mould under the vacuum environment in order to casting the silicone products without impurities and air entrapment. The only operation that required to be processed after the Casting is removing the redundant edges at the sides of prototypes. For silicone object, it would some hand works using scissors. Wherever the Prototype is used for, a prototyping process is absolutely useful for designers to address the problem at the very beginning and easily solve the small bugs of new products, completely avoid the risk of molding failed products.